Today every one knows that how to send and receive a massages on a mobile phones, there are different type of ways available out there, that we can use to send and receive sms on our mobile phones. Their are lots of free text massaging website are available which anybody can use to send text massages to any mobile number. But today i will tell you that how you can send and receive sms on your PC by using your android smart phone. If you are a android user and you use to send and receive lots of SMS on your phone, then this article will help you to organize and mange your text massages via your android phone to your PC. You can easily send and receive sms on your pc via your android phone and you can easily manage your sms on your pc, you can easily call the number which you have received in sms, you can easily attach and send any media file files like picture, video clip with mms from your PC. lets see how to setup this on your PC, to be able to send and receive sms on your pc you will have install Mighty Text messaging app on your android phone. 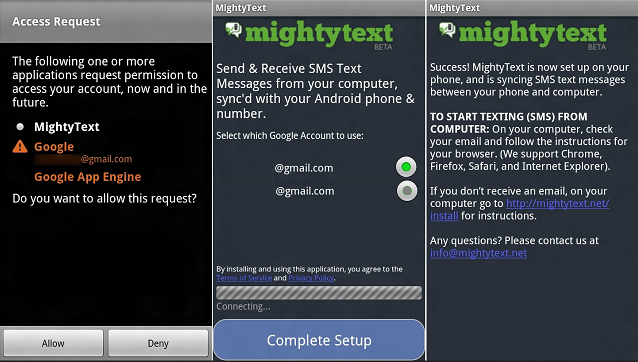 Mighty Text is free text messaging app that lets you to send and receive sms on your PC via your android phone. Mighty Text is available for free download on Google Play for supported android phones, now lets do this see below. 3#- Now after installing the app on your phone open it and it will ask you allow to link your gmail ID just select the app you want to link with Mighty Text app. you will have to use same g mail account for both for your extension and app. After success full authentication of you Google account you receive a Email from Mighty Text app just check your mail follow the steps from there. 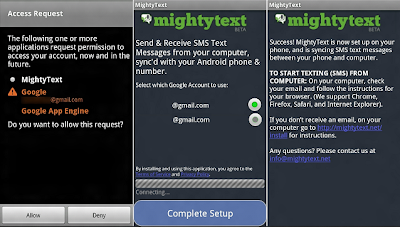 to start sending and receiveing sms with Mighty Text app on your PC Go Here if you are not sign in then just sign in with your google account after signing in with your account Mighty Text you see all your phones messages on the left on your screen. 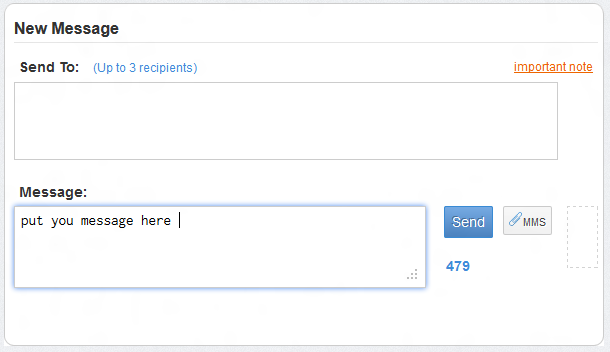 You can also sync all your Google contacts to your Mighty Text app account. To send a sms just click on the Compose New button and then inter the recipients you can add up to 3recipients at a time now wright your message and if you want to send a media file just add it by clicking the MMS button now click send and you are don. 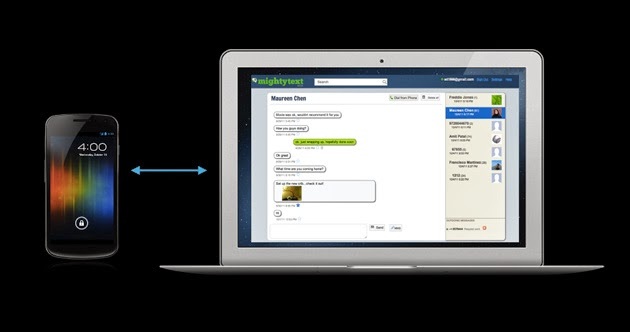 Make sure that your phone is connected with internet while sending the sms from Mighty Text. You can also use your WiFi connection to do this, remember one thing that when you will make a call or receive a call on your android phone you will not be able to see notification on your browser because while making a call or receiving a call your data network is suspended for making or receiving a call so you will not get any notification on your browser. To avoid this you can use your WiFi connection by using WiFi you will be able to make a call or you will get all your notification on your browser you can do this when you don’t want to miss any of your calls and messages when you are on work.